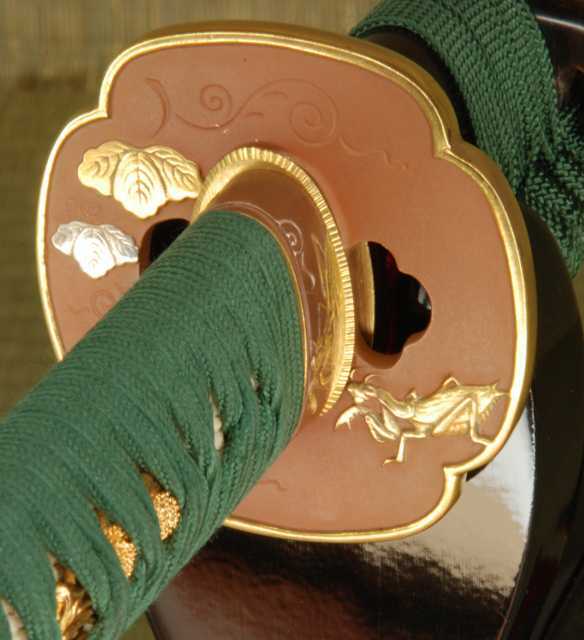 The Praying Mantis is a symbol of cunning and power in Japanese culture and is consequently a highly respected theme in Samurai swords. 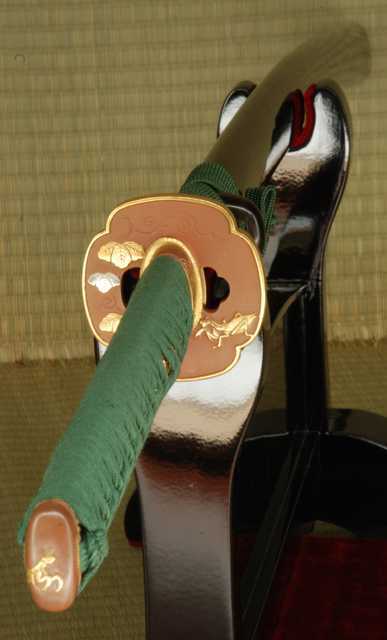 Built on the new L6/Bainite blade in the Shobu Zukuri style with Bo-Hi, and featuring superb koshirae, the Praying Mantis is a very desirable and functional piece. 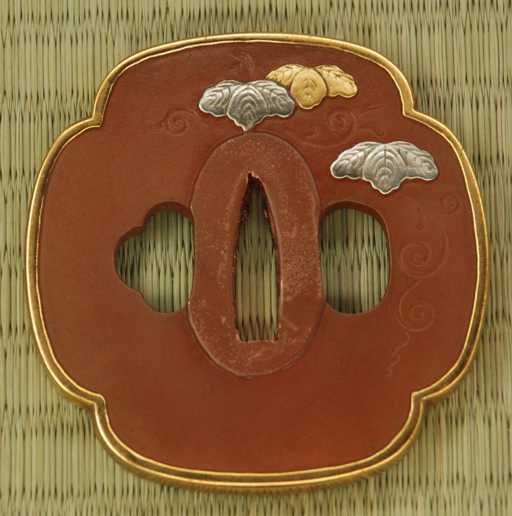 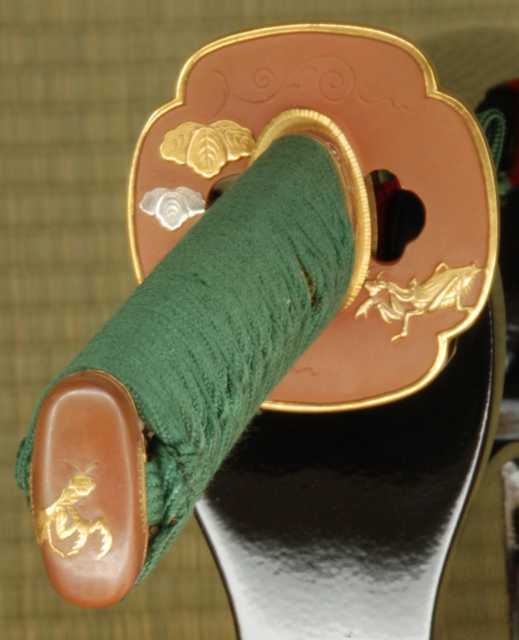 The subdued green silk ito and deep brown of the lacquered saya provide handsome contrast to the dark copper and golden accents of the tsuba, fuchi and kashira. 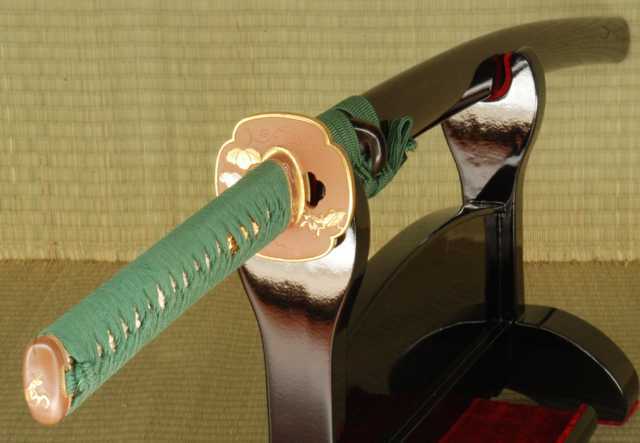 The stalking mantis lies in wait for his next prey, mirroring the power and grace in this exceptional katana. 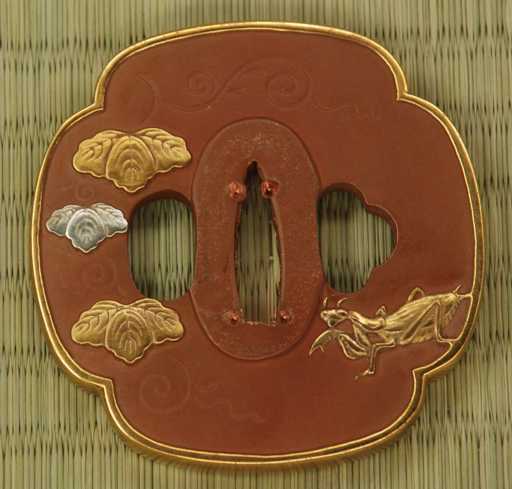 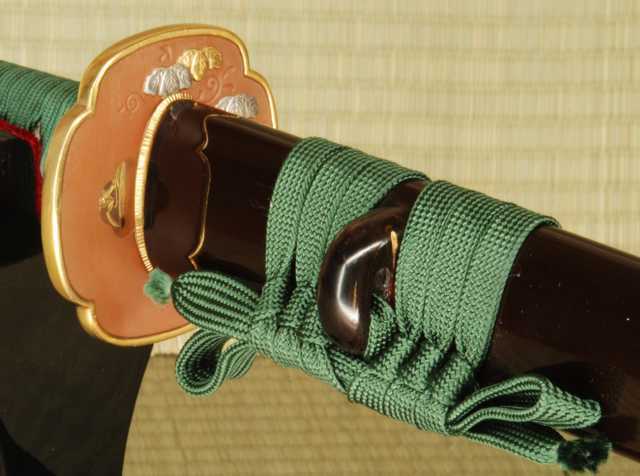 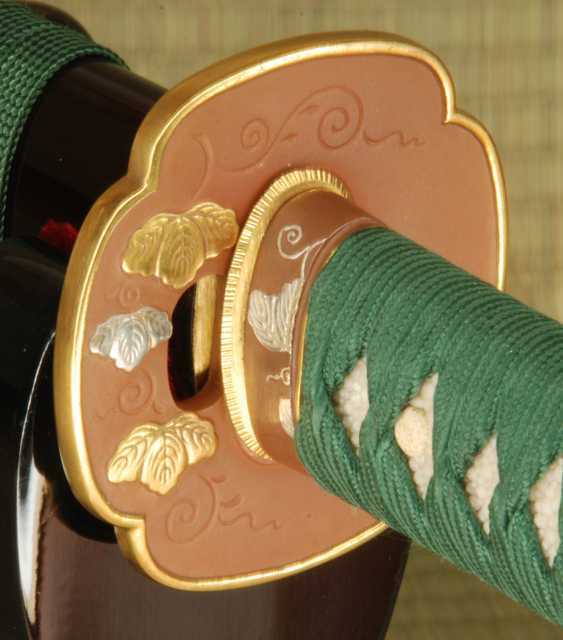 The tsuka features golden Japanese Hydrangea (ajisai) menuki. 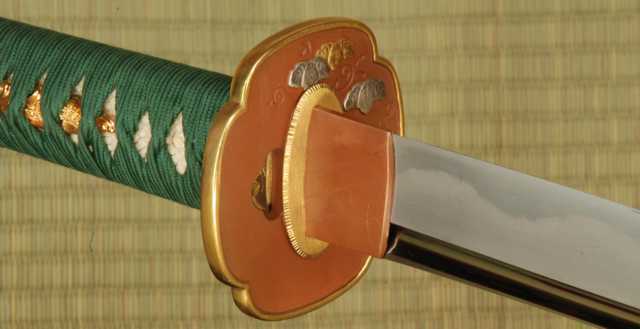 The Praying Mantis was recently redesigned with a straight hamon.